Climate control you can wear. This men's t-shirt is your go-to for work or chores around the house. The relaxed-fit shirt is made of lightweight, high-performance fabric that wicks sweat and dries quickly to keep your body at its ideal temperature. Turn garment inside out. Machine wash cold gentle cycle like colors. Non -chlorine bleach. Tumble dry low. Do not use fabric softeners. Cool iron . Do not iron ornamentation. Perfect fit and very comfortable material! Very nice fitting shirt. It is very soft, breathable and comfy. Would be a great shirt for hot summer days. Very disappointed that the lettering on the sleeve has almost completely fallen off after washing it and wearing it once. We appreciate your input but are sorry to hear that the lettering has come off the sleeve. Please contact us at 1 800 833 3118 for further assistance. The description says this shirt is made with 5oz material. NOT EVEN CLOSE to 5oz - closer to 3oz. I shop Carhartt for the better quality/durability... usually. We're sorry this shirt doesn't meet your expectations. Please contact us at 1 800 833 3118 if we can assist you in this matter. It really lets the heat out. This is a must have for anyone who runs hot. After I got my 1st shirt i went back and ordered one for everyday of the week. Great fit, lightweight, tolerates washes. Before I purchased the shirts I was told it was form fitting compared to the heavy wear work shirts but its shorter in length also. If I wear them to work I'll have plumbers crack for days. They're nice shirts thought, next time I'll just get a size larger. We appreciate your input. Feel free to contact us at 1 800 833 3118 if you need any assistance. Great shirt those long sweat filled workdays. I love them. In fact now own 4. Couldn’t ask for a better shirt. But wish you offered in tall sizes One con though I take responsibility for the misunderstanding. I ordered the light crimson shirt because on your website it looks pink. I was disappointed to receive a red shirt. As I do no wear red it was returned for the green instead. I had high hopes. Feels great to wear, correct sizing, collar does not bacon up, light weigh and drapes great but after its 2nd wash the collar is already pilling/fraying. Looks bad, can't wear them under a button down shirt with the top button or 2 left undone. The search continues. I bought several and they all feel thinner and not the Carharrt quality one would expect. Although it has great breathability, but to do hard labor in these i wouldn't recommend. This shirt is like for people who garden. We have reached out to the customer directly. This is a lightweight shirt by design. Bought the shirts for my son. He finds them very comfortable and has quickly became his favorite shirts! I wear them all day everyday, straight from work as a laborer to my home renovation project. They keep the smell down and allow multiple days use out of a shirt. I like the shirt. It's a good fit for the hot summer. As always Carhartt quality and great product as usual. This shirt showcases the 37.5 tech which redefines what a shirt should be. A tool for comfort in any environment, versus just plain clothing. Recently, I was outside working in ninety degree heat wearing one of these shirts. The humidity was just crushing. People working with me wearing cotton shirts were just drenched in profuse sweat, while I was unusually comfortable, and dry for the most part. The most effective way to use these kinds of shirts is as a base-layer. Close to your skin, wearing no shirt under it. Additionally, because of this, you will want to forego using aluminum-based anti-antiperspirants, which will destroy the underarm part of the garment. over time. Shirt keeps you cool, and dry when it is hot out. Keeps you warm when it is cold out. There is a website up which explains the 37.5 tech. I would recommend everyone take a look at it, then try one of these amazing shirts for yourself. Shirt is worth every penny. See for yourself. You will look at other clothing with scorn after experiencing one of these babies from Carhartt. Runs a little smaller than my last short sleeve shirts I bought from carhartt. Other than that I like them. Great for summer work dries fast and feels like it will last. Fit is true to size but is just a little tighter fitting than what I thought it would be. This shirt is incredible, its extremely comfortable and looks great. I hope they release new colors because I absolutely will buy more. So comfortable and look great... very happy with this find!! I work outside in the heat and these shirts are the best I have tried. Keeps you dry and cool. This shirt is a great cross between a quality work shirt and style. Fits great. Feels great even in the heat. This is my go to shirt outside of the office. I have a dozen or so and wear them for everything. The only bad thing I would say is that they recently changed the style and the neck is extra wide. It’s not going to stop me from purchasing but definitely a difference between the current and previous model. Cool and comfortable, great quality fabric. Will buy again. These shirts are amazing. Kept me cool and comfortable in the hot sun! Very comfortable T-shirt. The best I’ve had at wicking away sweat and drying quickly. It’s also incredibly comfortable. I was skeptical but I’ve just purchased a second T. And I’ll buy more. This shirt is super lightweight, as advertised. I work outside in the woods and the burnt olive version is a great choice for a comfy summer shirt that keeps me cool and comfortable. Also sturdy enough to withstand some true time in the elements and activities I face at my job. Great shirt! Comfortable shirt for summer. Fits well. These are my husband & son’s “go to” shirts. They work outside in the sweltering GA heat & they wear these shirts everyday! Would be better if there were more colors to choose. The employees love this shirt. It's great for working in the heat. The guys in the office wear them as well because they look nicer than a cotton t-shirt. Washes nicely. Overall great shirt. We'll continue to buy them. Excellent shirt for those very hot days. So soft and comfortable. Strongly recommend. Very soft and comfortable. Light and cool. The colors are nice also. These may be too nice to work in. These would be cool with a V-neck or the option to have a front pocket. Other than that it’s perdect. Boyfriend loves these, very nice light weight and excellent to work in. So far they’ve held up very well with the type of indoor construction work (demolition, carpentry, plastering) he does. They do look a lot like sportswear, though, so I’d say they’re a little less versatile than other Carhartt shirts that can be dressed up enough to go to a restaurant after work. These are true to size for Carhartt shirts (boyfriend is always a carhartt medium). I love my new Force extreme shirt it's really comfortable and nice and cool on a hot day. These shirt are incredibly comfortable & wear well. They not only wear well but look great also. I bought one of every color. Dries within minutes after getting wet, quality shirt. Wasn't sure about this shirt at first, tired it on wore it out on a warm day and it instantly became my favorite shirt!! I own one in every color now! I use these shirts for the gym. I'm overweight, but these shirts fit very well and they are comfortable, makes the workouts bearable. I love the Force Delmont shirts and own 10-15 of them and never thought there would be a better t-shirt. Well these shirts are just that. They are extremely light weight and dry quickly when you’re working in them. Please make this in a xl tall all colors. Love the no pocket . Finally a carhartt t-shirt with no pocket but not in tall sizes. Sad. Would buy. Wear a lot of other carhartt apparel and love them. Will this be made in tall sizes anytime soon? BEST ANSWER: We appreciate your feedback and will forward your suggestion to our Product Design Team for future consideration. When will this shirt be available in a Small again? BEST ANSWER: We apologize, but this style is not being restocked in size Small. Will this shirt come in white? BEST ANSWER: This style will not have the color White. Will it be available in tall? BEST ANSWER: This style will not come in tall. Does this come in a tall size? BEST ANSWER: This will not come in Tall sizes. Dew you offer a long sleeve ? Will the Force Extreme shirts ever be offered in size Small? Do you offer the Force Extremes Shirt available for company logo? How doe this style differ from last years 101545? BEST ANSWER: Style 102960 is the new version of Style 101545. The material has been updated and the new version is about .3 ounce heavier than the previous version. 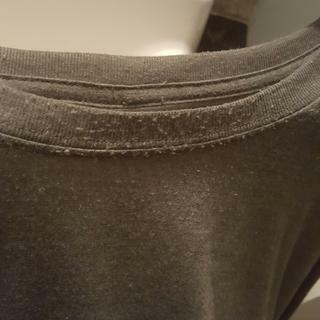 How much can I expect this shirt to shrink in a regular wash (warm water, tumble dry low)? BEST ANSWER: It should not shrink more than 2-4% throughout the life of the garment as long as the care instructions are followed. Can you get this shirt with a front breast pocket? BEST ANSWER: We do not currently offer a Force Extremes shirt with a pocket. We do offer a Force shirt with the pocket, style 100410. We have forwarded this to our Product Design team as a suggestion.